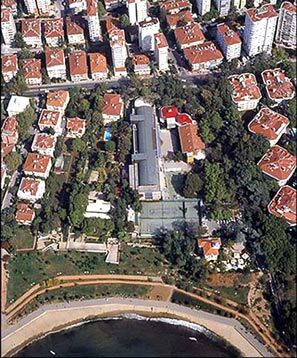 The school campus was built on 11,700m2 of land on the Anatolian side of Istanbul with a 400m2 kindergarten, 4,000m2 primary school, 2,400m2 cafeteria and sports hall, 4,400m2 high school and 500m2 auditorium. 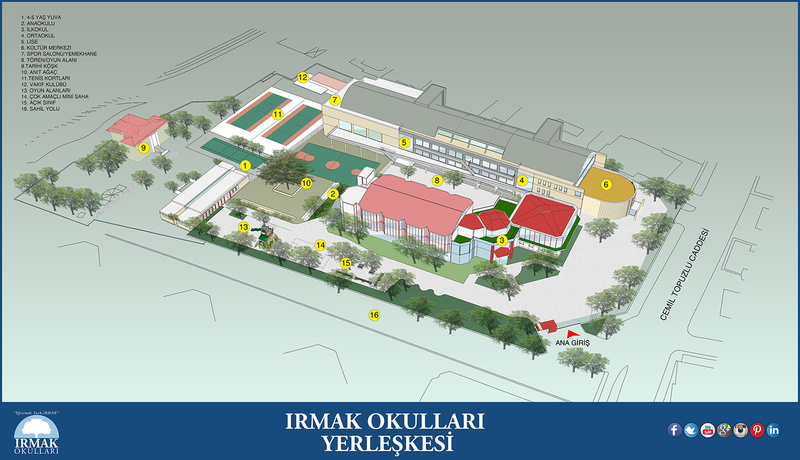 The primary and high school buildings contain all the facilities necessary for an appropriate educational environment. It is a contemporary school with a large Sports Hall, an Auditorium with a capacity of 530 people, multi-purpose rooms, a library in the primary school buiding, a media center in the high school building, computer, Chemistry, Biology, Physics and Science labs, video, drama and music rooms, an art & crafts room, and ceramics and dance rooms. This page was created on 20.8.2014 10:41:30 and has been visited 2074 times.